Samsung may be currently sitting at the top of the tree when it comes to smartphone sales, but it seems that the competition isn’t ready to let the South Korean company have it all their own way when it comes to hardware innovation. Korea based LG Electronics may not currently be known for being Samsung’s main competition in the smartphone game, but they may soon be competing against one another in the curved display stakes. 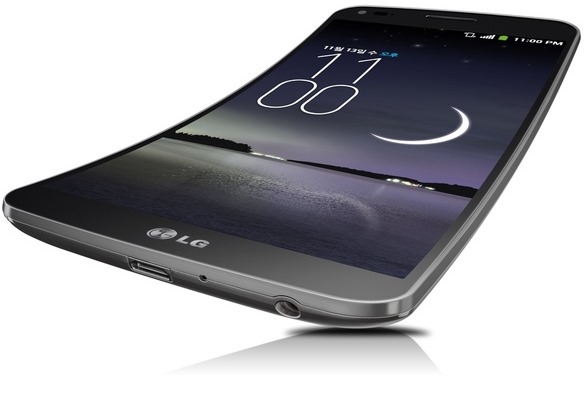 After keeping quiet as a number of leaks flew around the Internet, LG has finally come clean and announced the existence of the LG G Flex handset, which aims to take on the Galaxy Round straight on. Although LG themselves seem quite impressed with that they have created with the G Flex, it probably won’t go as far as instilling fear in the likes of Apple and other well-placed manufacturers. The device falls under the ‘phablet’ category of smartphones that was initially created when Samsung introduced the humongous Galaxy Note a couple of years back. LG’s offering to that particular category is a 6-inch device with an embedded OLED display which LG believes is perfectly curved to fit the shape of the human face. However, LG believes that it isn’t just the facial ergonomics that matter when designing a device of this nature. The company believes that the curved display on the device will ultimately make room for much improved sound quality as well as having the added benefit of fitting nicely inside the pocket of a nice pair of trousers. 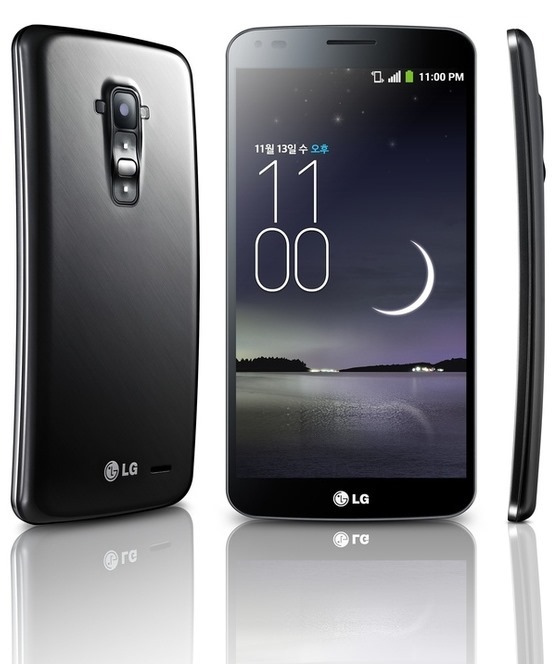 The external shell of the G Flex also comes with a rather impressive party piece – if it turns out to actually work. LG is claiming that the rear of the device is “self-healing” and has the ability to erase and heal any scratches that happen to find their way onto the rear shell. The rear of the smartphone also features a 13-megapixel camera that will pump photographs and 720p videos onto the internal 32GB of storage. The G Flex will get its power from a Qualcomm Snapdragon 800 processor, with the added benefit of shipping with Android 4.2.2. We won’t know exactly how the self-healing claims pan out until we get on our hands on one of these rather large offerings, which in itself could be an issue as LG has only announced an initial launch for next month on the three main Korean networks.